There's more to establishing a successful fitness program than four walls and some equipment. This guide will get you started in the right direction. Fitness Center Footprint: Provides an overview of space and equipment considerations for your fitness center. Fitness Center Staffing: Offers an outline of how to hire a fitness professional and what core services you should be expecting them to deliver. 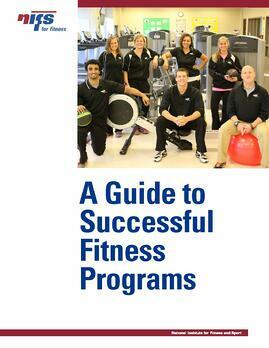 Fitness Center Programs: Describes how to set up your fitness center for success. This guide gives you a solid starting point so that you can address questions about the size of your planned fitness center, what types of equipment might be best, and how to build a lasting program that will bring in the most people and provide the most impact. If you're ready to started with your project, grab the guide - it's a crucial tool for the work you have ahead of you.